The best way to prevent roof leaks is to know what causes them in the first place. Sometimes a roof leak can be a quick and easy fix, but other times it can take a significant amount of effort, even for professionals. It’s always advisable to commission infrared consulting services to conduct a routine survey of your commercial roof, just as a preventative maintenance measure. Some problems with your roof may be easy to identify, but some may not be. In this first part of our two-part guide, we will look at some of the causes of commercial roof leaks. 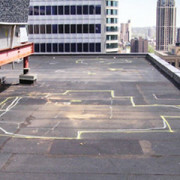 Many commercial buildings, especially older ones, have flat roofs. Unless the proper drainage system is in place, those roofs are prone to standing water. 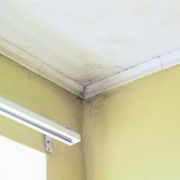 It’s easy to guess what standing water can do to a roof. The sheer weight of the water alone can compromise the integrity of the roof. 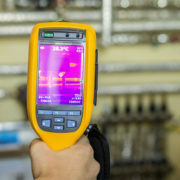 If that’s your main problem, you don’t even need an infrared thermography test to determine what needs to be fixed. 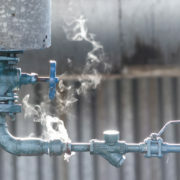 Objects like drains, pipes, vents, gas lines and HVAC units could penetrate through the roof membrane. 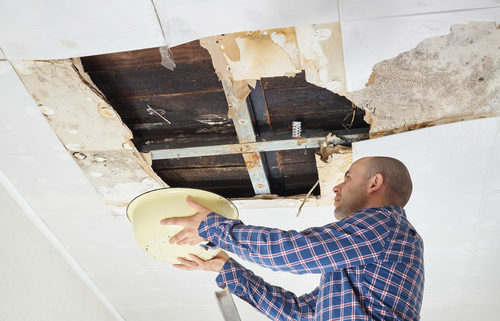 Any object cutting through the roof could cause a roof leak. When you have an infrared roof moisture survey, many times the source of the leak is identified near a penetration object. These objects require frequent maintenance to ensure the water seal is strong and effective. A roof membrane’s main function is to prevent water from coming into the interior of the building. 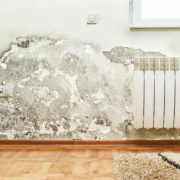 Membrane damage generally isn’t a problem until the building begins to age. After the sun and weather beat down on the roof for many years, it eventually will begin to crack or split. When this happens, it’s probably time to get in touch with an infrared consulting services professional to determine the severity of the damage and how to fix the roof most efficiently. When you have an infrared roof moisture survey completed, the professional will likely ask how old the roof is. A roof isn’t going to last forever, so any kind of water leak or moisture penetration could simply be because the roof is old. 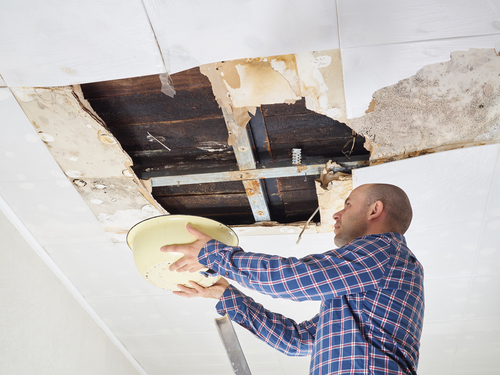 If the roof as a whole doesn’t look structurally sound enough to prevent water from entering, it may be time to replace it completely rather than just patch up current problem areas. These are just a few common causes to roof leaks, but there are many others as well. Part two of this guide will discuss the inspection process, but feel free to get in touch with us if you would like more information about the causes of commercial roof leaks. 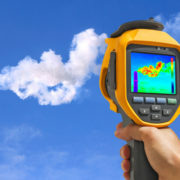 What Happens During an Infrared Roof Moisture Survey? 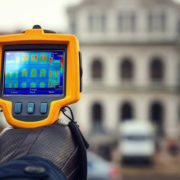 How Can Infrared Thermography Help Detect Mold Growth? Infrared Roof Moisture Detection - Find & solve problems before they become serious!